Your Board of Directors deserves a whole lot of credit for keeping your nonprofit alive. However, during a nonprofit website design project, we hear they tend to cause some issues. It’s likely your Board is full of wonderful, yet opinionated people, all of whom care deeply regarding where your nonprofit’s precious funds are being allocated. 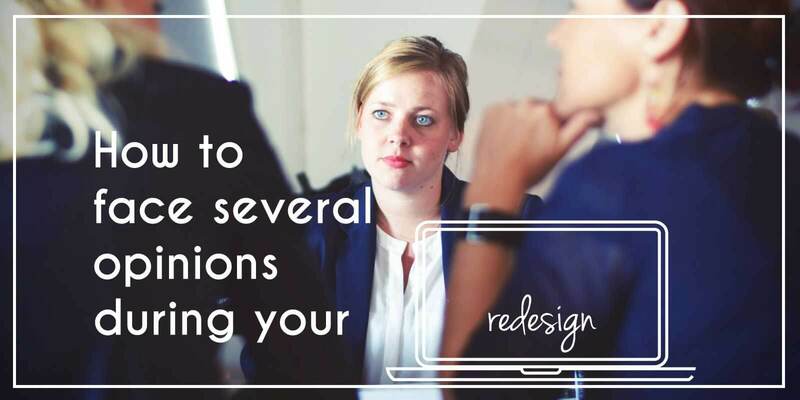 If all of these Board Members are interjecting their opinion throughout each phase of your website design, you’re going to experience frustration. This becomes especially problematic when these discussions start to slow down the redesign, causing missed deadlines, unmet expectations and unexpected budget changes. Moreover, if you don’t have one person who has the final say, arguments arise. So how can you manage your Board of Directors throughout your design project? The more planning that gets done prior to your project launch, the better. This will help you determine your project’s needs, choose your vendor and set up a strong team structure before things get crazy. If you and your team set this up and agree upon things early on, when conflicts arise, you’ll have these decisions to point back to. 1. Who will choose the vendor? 2. Who all needs to be updated on the overall project status? Who needs to be involved on a day-to-day level? 3. Who will make the final calls on all project decisions? Who is responsible for project success? Explain this to the rest of your organization as well, talking through why a smaller team will lead to greater efficiency. That way, if Board Members or otherwise get overly involved, you don’t have to immediately shut their opinions down, but can point back to how you mutually agreed upon the the ultimate decision maker. If you can afford one, a project manager can be a huge asset to the success of your nonprofit website redesign. They become worth their weight in gold as they keep you on time and on budget. If this project manager is from a 3rd party, they also step in with their unbiased perspective to resolve any conflicts between your Board and team members. Everyone likes to be heard—especially when you’re designing a site that will work as the new face of your organization. By asking for their opinions before the project, you establish that you care what they have to say and give them a chance to say it. This is a more regulated way to get them involved but also helps to alleviate their interjections when they are not being asked for down the road. Best of all, people have amazing ideas and you’ll have plenty from which to choose. We all know communication is key and no one likes surprises when it comes to budgets and projects. However, that doesn’t have to mean a daily or even weekly meeting with your staff or Board. Instead, set up a structure for status updates or memos. When you send these out, update everyone on where you are with the project overall. This is also an opportunity to ask any questions to the appropriate team members if an opinion is needed. Project status updates will make people feel more involved, help remove constant questioning from those that are less involved and keep enthusiasm up for your nonprofit as a whole. It’s easy to get caught up in what you and your project committee think is right and what you want to see. Instead, keep coming back to the end-user: your site is mainly made for donors, volunteers, community members and those in need. When you come to a difficult decision, keep these audience members at the forefront of your thoughts. Again, it’s easy to get caught up in what you think is best, but you hired the professionals for a reason. They know what they’re doing! Encourage them to keep presenting ideas to you. For more complex decisions, you can even have them come into the office and show their ideas to your team. Odds are they will be better at communicating their ideas and this collaborative effort will result in a better website. Rather than sending the new site link in an email, it’s beneficial to sit down with everyone at once and talk through the site. This way, you’ll have a chance to explain the decisions you’ve made and they can understand how you hope the site will be used. You can even use this time to train the staff in on how to enter blog posts or make updates if they will be involved with that. Lastly be sure to set up a system for how team members can report any bugs or errors they come across, as it’s inevitable that one or ten will exist. The worst thing you can do post site launch is to let your site just sit there. It needs to be optimized and updated. This launch meeting provides a place for talking about what the goals are for fully utilizing your site day-to-day. If there are phase 2 projects, you can discuss what the priorities are and what these costs look like. If you do a good job at presenting these initiatives, the Board can fight for them, helping to make them happen.